What a week! Bathurst is always a big one, but this year was really big. We launched the VF 30th Anniversary Blue Meanie tribute, Holden made it back on top of the podium and the all-new merch range was really well received. 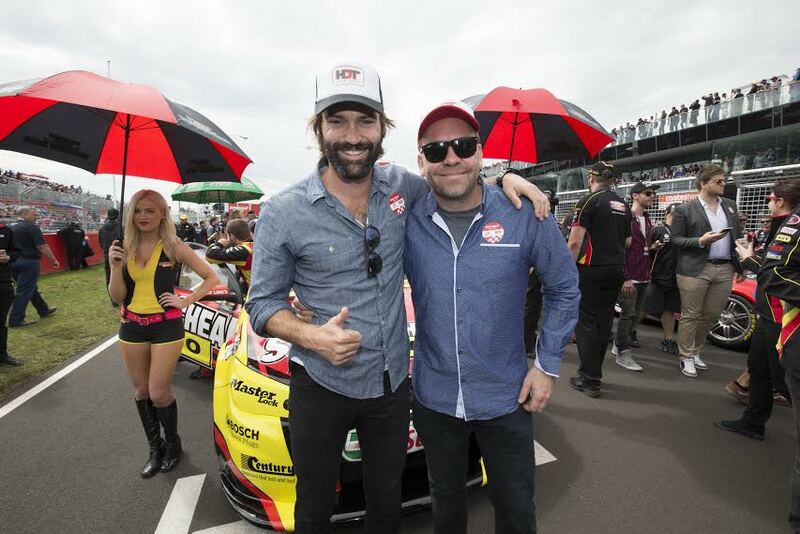 One of our top moments had to be seeing the stars of next year’s block buster telemovie, Brock, on the grid wearing HDT trucker caps. Matt Le Nevez (Peter Brock) and Brendan Cowell (Allan Moffat) came on the grid walk with us and Matt even popped by the Merch tent later on. They’re really top blokes and we can’t wait to see them on screen in Shine’s Brock. Very exciting!